"Presbyterians? . . . They stay until it's done!" 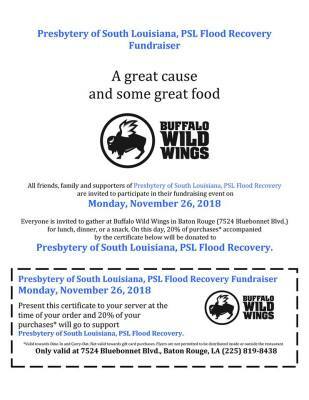 11:00 a.m. - 2:00 a.m.
Take a break from Black Friday and Cyber Monday to enjoy Buffalo Wild Wings and support PSL Flood Recovery while you eat! It's easy! 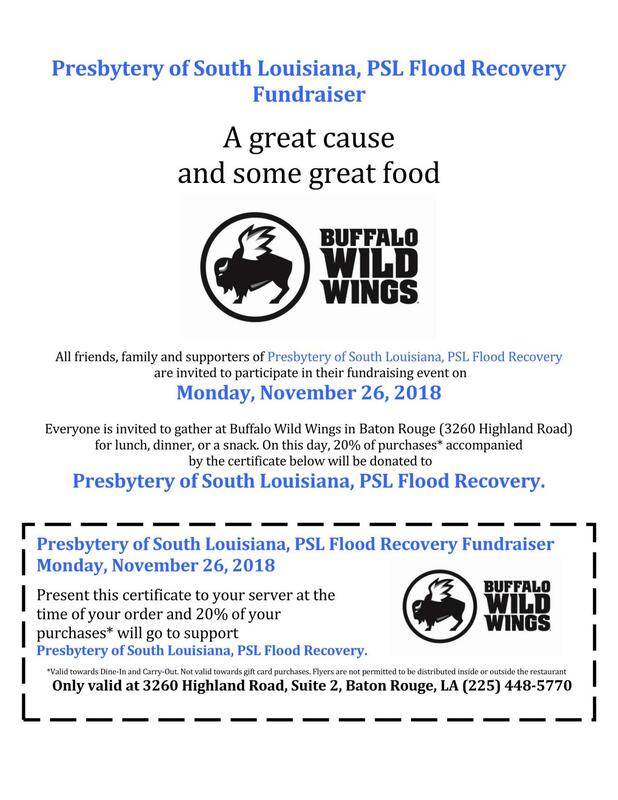 Mention "PSL Flood Recovery" or "Presbytery of South Lousiana" when you order, and we'll receive 20% of your total order . . . OR . 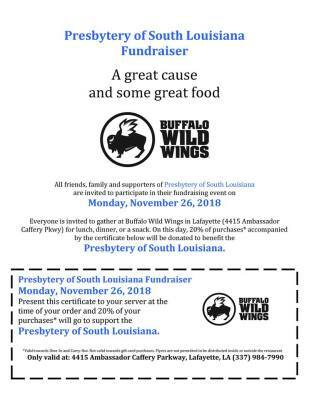 . .
Click on a coupon below for your BWW location to download and print, then bring it with you! 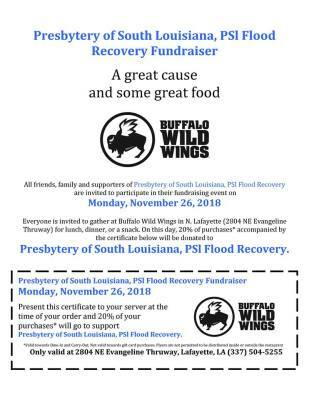 See y'all there! November 27th is Giving Tuesday, a day when the entire country can show their gratitude by donating to the nonprofit(s) of their choice. To donate to our flood recovery efforts click on our "Give Now" button and select PSL 2016 Flood Account.